Update – 1 week to go! I haven’t posted any updates recently because I have been feeling pretty fatigued from the proton therapy treatments, but I wanted to check in so that everyone knew that I am doing well…and bald (a.k.a. no longer have the ridiculous monk-cut). The fatigue is a normal side-effect from the proton treatments. I’ve been experiencing two different types. The first type is feeling like I hit a brick wall, and suddenly having no energy. This usually lasts for a couple of hours, but after relaxing for a bit, I’ll return to my normal self. This “brick wall” fatigue has been occurring on and off since my 3rd week of proton treatment. The second type of fatigue feels more like general exhaustion. I feel too tired to want to go out and do much, but not tired enough where I feel comfortable lying on the couch all day. After a few hours binge watching West Wing on netflix, I usually start to get a bit stir crazy even though my body still feels too exhausted to do anything. This exhaustion-like fatigue has been happening pretty frequently over the past week, and is expected to peak over the next couple of weeks. The good news is that I am on my last week of proton treatment, with my final treatment on Monday the 23rd! While the fatigue is a bit frustrating at the moment, I know it will subside soon, and I will be able to start getting back to a normal routine…well a normal routine including the oral chemo and weekly blood-work. In other news…I shaved off the rest of my hair! Thanks again to “Eddie” Eduardo Tramontozzi for taking the time to cut my hair! I actually like the almost bald look. It helps the bald spots from the proton treatment blend in a bit better. Also, the shorter hair helps when my head starts to get sensitive from the proton treatments. The radiation affects the hair follicles, which causes an itching…sometimes burn-like sensation. This is usually at the point when the hairs start to fall out, and it feels a lot better when the hair is short. It is still up in the air how much of the hair will grow back, but out of everything going on, that is not a big concern for me at the moment. P.S. The fatigue has been slowing me down on my writing, but I have a few things in the works…so stay tuned! Hey Jeremy- home theater is yours anytime-just call or text-expect your mom has my number. So happy, to see your post! Only one week to go! Hi Jeremy. I recently found your blog and am reading through all of it because my son who is about your age was diagnosed with a grade III oligodendroglioma about six months ago and reading your blog helps me understand what he is going through and how to prepare for each new step in the treatment path. He had a gross resection which is great news and is tolerating proton therapy and low dose Temodar well so far. He has eight treatments left. 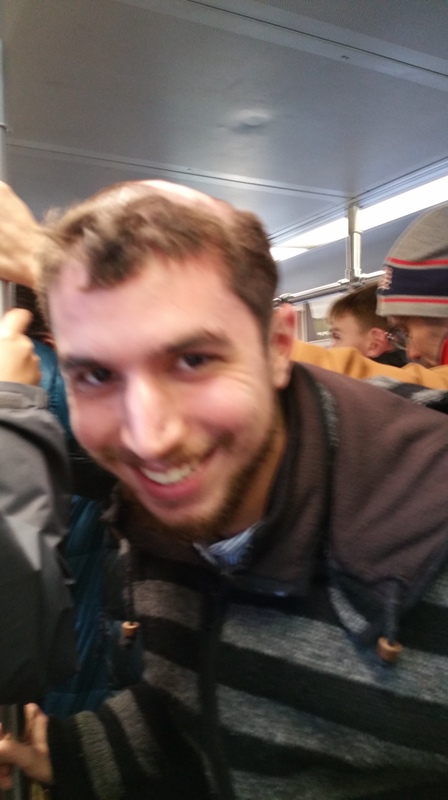 Last week he decided to shave his head because the bald spots had become too large to continue successfully hiding under the remaining hair. I know it is minor in the grand scheme of things, but I’m wondering if your hair grew back in the spots where the proton beam entered. If so, about how long did that take? And was your platelet count fine through the low dose Temodar and then it dropped after the first cycle of high dose? I got a little confused on the timeline. 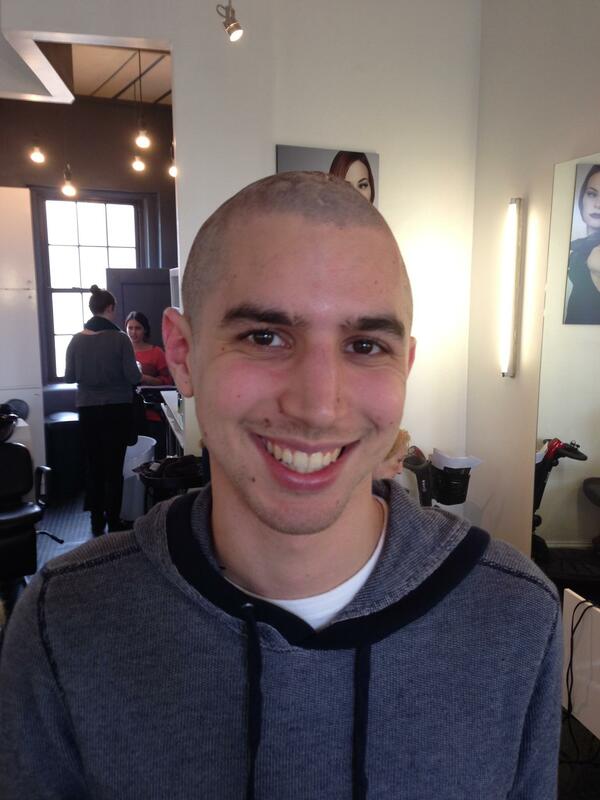 Previous PostPrevious The Wacky Haircut for Brain Tumor Research…Thank you for Donating!! !